Looking for Campervans in Christchurch? We review 57 local campervan hire agencies. Looking for Campervan rental in Christchurch? 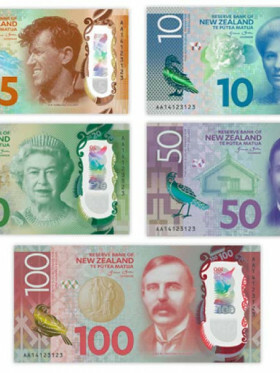 We review over 50 providers and give you easy access to some of the top-rated hire companies in the North and South Islands. 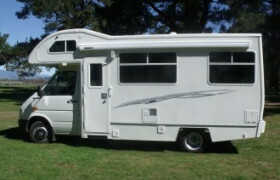 Looking for campervan or motorhome rental in amazing Christchurch? A city of new and old, stylish and traditional, Christchurch offers mesmerising scenery to make your campervan rental experience one to remember. Compare prices and book now. Christchurch is located on the South Island’s east coast. A picturesque city, it is known as the gateway to the South Island and often referred to as “The Garden City.” Christchurch has some gorgeous parks and gardens to explore, including the Christchurch Botanic Gardens and Hagley Park. There are a wide variety of easy day trips that can be made from here, including the eco-tourist hub of Kaikoura, where you can see whales and dolphins, or cruise to the magnificent Arthur’s pass where you will discover rural, natural NZ at its best with mountains, rivers, bush and waterfalls straight out of Lord of the Rings. Starting and finishing in Christchurch, you can follow the Alpine Pacific Highway and take in Kaikoura, Hanmer Springs, and the up and coming winery area of Waipara. Because Christchurch is one of the main international entry points into the South Island, there are plenty of campervan rental companies to choose from to suit your needs, with most located adjacent to the airport. 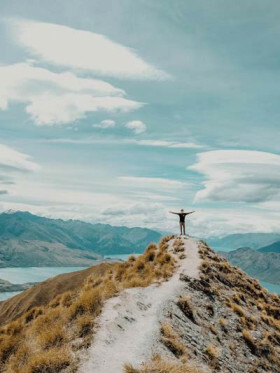 It couldn’t be simpler to choose your mode of transport in New Zealand’s south, and make sure you get to see some of the most beautiful scenery this side of the equator. Once you have located the right van for you, use our online booking system to lock in your dates with your preferred provider. Dates don’t last long in the South Island, and it’s important you indicate your preferences as soon as possible to ensure you get to explore Christchurch and beyond easily. 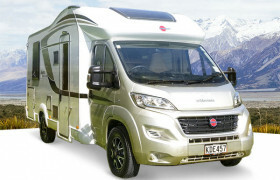 A family-owned and operated business who started their business in 1996, Affordable Motorhomes is a smaller company based out of Christchurch, offering motorhomes, campervans and sleepervans in models from 2 to 4 berths. Editors Review: Campasouth Rentals is a small family-owned campervan hire in New Zealand that offers 2 to 4 berth self-contained campers, with bases in Auckland and Christchurch. The company focuses in providing personal touch to each camper, especially for travellers looking for a budget-friendly NZ road trip. Mad Campers takes pride in their unique camper design and in particular their extremely comfy beds that sleep two. They reckon they have the biggest and comfiest beds in all New Zealand. 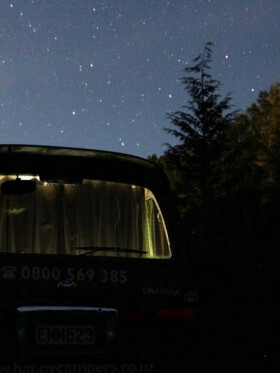 And now, they offer NZ's first-ever campervan for solo travellers. What do you think? From the company name itself, Classic Campers specializes in vintage campervan hires, including VW Kombi, Vanagon to T4 Transporter and some custom units. The Pod Campervan Rentals is a modest, family-owned campervan hire company on the South Island of New Zealand, with a fleet of around 60 vehicles―either self-contained or non self-contained campers. Providing free airport transfers and no one-way fees, they cater to budget solo travelers or couples. Cruzy Campers is an affordable family owned and operated campervan in New Zealand. The company offers either diesel or petrol type of 2-3 berth campervans and specializes in relocation from Auckland to Christchurch and vice versa. Scenic NZ Motorhomes is aimed at the luxury market offering late model Fiat Ducato motorhomes with all the modern european design tricks. It is a family run business based in Christchurch, New Zealand. 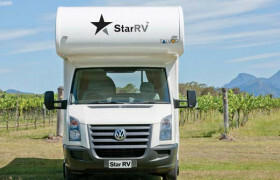 Star RV New Zealand is the luxury motorhome company in New Zealand that treats their customers like stars. If you’re looking for a luxury holiday behind the wheels of the newest 2 to 6 berth motorhomes on the road, Star RV gives a decent and elegant fight. With nearly 25 years in the campervan hire business, Pacific Horizon is a company that has earned the trust of countless travelers. They’d like to do the same for you through renting one of their quality vehicles sheltered and maintained at their depots in Christchurch, Auckland and Wellington. 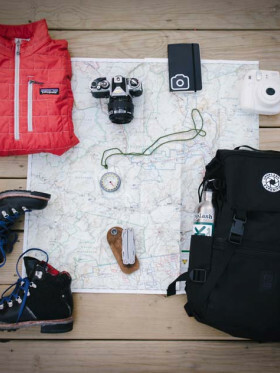 A recent name change has seen Nomad Rentals become Adventurer Rentals. A friendly and caring staff along with cheap and reliable campervans have made Nomad Rentals (now Adventurer Rentals) a relatively nice option for budget conscious travellers looking for 2 berth campervans. Hippie Campers New Zealand is aimed at the budget and youth market so they allow drivers aged 18 to 21. 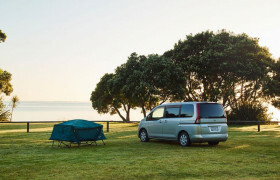 They only supply 2 berth, 2/3berth, and 4 berth campervans, with limited depots only in Auckland and Christchurch― but what they supply is well worth looking at. 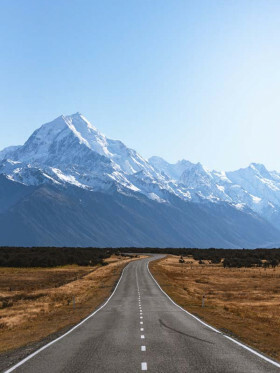 Iconic Motorhome is a family company in New Zealand that focuses in giving a luxury stay on wheels through their nearly new motorhomes and excellent customer service. 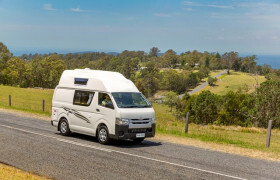 Their vehicles are particularly designed for high-end motorhome hire and not for an economical rental, and assures a quality road trip since 2006. 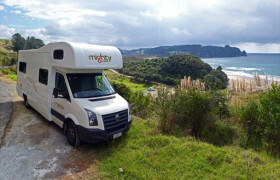 Pure Motorhomes New Zealand is a campervan hire company a booking engine, with depots in both Auckland and Christchurch. With a decent selection of vehicles available, Pure has options for travelers of varying needs and budgets. There’s a lot to like about Wilderness: a nice range of vehicles, good prices, and excellent customer service. If you’re looking for a campervan for hire in New Zealand chances are there’s something you’ll like at Wilderness. 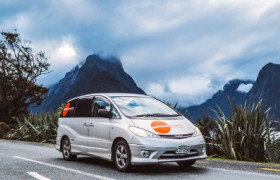 Established in 2003 by three friends, Escape Rentals New Zealand is a relatively small company that rents out campervans that sleep up to three adults. One of Escape Rentals’ unique features is that each van is individually painted by one of the company’s artists. Nomad Campervans is aimed squarely at the budget-minded traveler. If you are researching campervans for hire in New Zealand at low rates, Nomad Campervans is worth a look. Specializing in car rentals, Mode Car & Camper Rentals extends its range to campervan rentals, featuring unbranded and refurbished Toyota Estima or Nissan Serena models. Maui New Zealand understands that you want a vacation that combines excitement and luxury. And they excel at delivering just that. 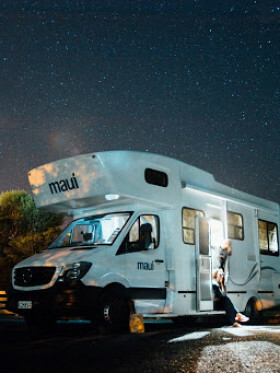 Offering a level of service that few high-class campervan hire companies can match, Maui is much more than just the destinationㅡ it’s about the trip. Just Go is one of the premier companies offering campervans for hire in New Zealand. And for good reason— their staff is friendly, their campervans are affordable and reliable, and they give you plenty of options to choose from. Cheapa Campa New Zealand is a budget campervan and motorhome rental company offering 2-6 berth motorhomes and cars for hire. They are part of the Apollo Motorhome Holidays group. Travellers Autobarn is a large campervan rental that offers affordable 2 to 3-berth campervan deals in New Zealand. They have depots in Auckland and Christchurch, with their parent company located in Australia. Whilst the company specializes in the budget market, there have been some upgrades to their fleet as they welcome new models to their selection. 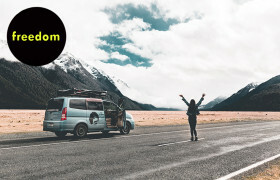 Real Value Campervans New Zealand is often tagged as one of the cheapest New Zealand campervan hire companies that offer quality vehicles. But... how is it possible? 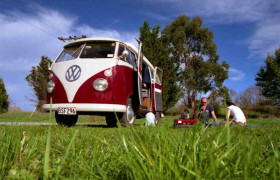 Kiwi Campers was founded in early 2005 with a fleet of just five vehicles. Since then they’ve grown their fleet to an impressive 100 late model luxury campervans. Abuzzy Motorhomes specializes with luxury campervan and motorhome hires for 2 to 5 people. It operates both in the UK and New Zealand, with depots in Auckland and Christchurch. Budgy Campers is one of three brands under one parent company that operates Budgy, Euro Campers and Heron Campers. 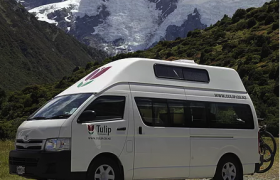 It focuses on older yet affordable 2-berth campervans in New Zealand, with depots in Auckland and Christchurch. All of their vehicles carry the official self-contained certification sticker, giving you access to many extra free camp sites in the country. 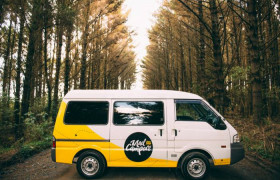 A small, budget-based campervan rental in Christchurch, New Zealand, Wanderlust Campers rents out two campervan options― both petite, petrol unit that sleeps two, either inside the camper or inside the tent. If your world travels have brought you to the Pacific, Wendekreisen has a wide range of luxury and budget campervans for hire in New Zealand. They are a family-owned and operated New Zealand campervan and motorhome hire company, in operation since 1991. Aotea campervans is a small, family owned campervan rental company that centers itself in Christchurch, New Zealand. 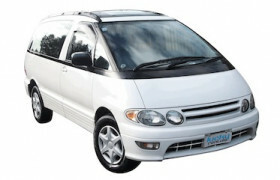 They have a limited fleet that caters for 2 persons or 2 with a child on a budget. Ascot rental cars is a small car rental company with branches in New Zealand and Australia. They have limited campervan hire options as their focus is really on cars, but seeing as they do offer campervan hire they have made it to this list. Their campervans cater for 2/3 berth clientele on a budget. Update: We suspect that Go Wild has closed its doors. We are checking in to it. With two types of campervans, Go Wild Campervan Rentals has depots in Auckland and Christchurch. 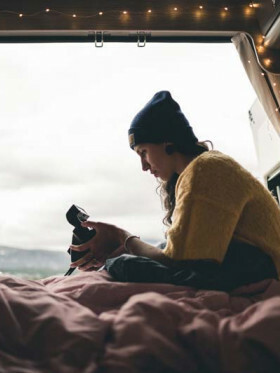 Go Wild readily admits that their vans aren’t newer models – they even say that customers looking for “The Hilton” of vans should look elsewhere – but they tout clean, comfortable vans at affordable prices. 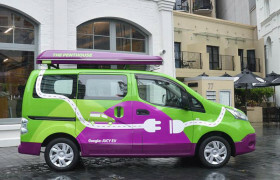 The company got started in 2009 after it took over an existing fleet. Hugo Rentals is a basic campervan hire company that features conventional yet reliable vehicles and offers very economical deals. 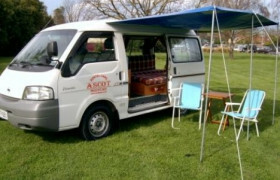 They have depots in Christchurch and Auckland and supply only one kind of 2/3 berth campervan. Tulip Campers is family owned since 1998 and offers budget friendly campervans. They have depots in Tauranga near Auckland and at Christchurch Airport. 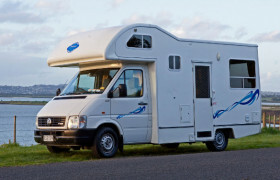 Their vehicles range from Luxury Campers, Mid-range Campers, and Economy Campers that cater for 2 to for berths. McRent, Europe's largest motorhome rental company, has now expanded to New Zealand, offering 2 to 6 berth motorhomes at NZ's two popular locations— Auckland and Christchurch. 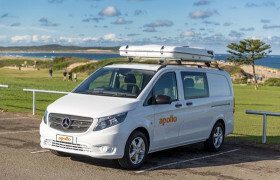 Competitive rates, great customer service and New Zealand’s most modern and uniquely-designed vehicles have made Apollo Motorhomes one of the largest privately owned leisure vehicle operators in the world. 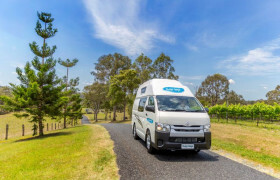 Walkabout Rentals is unique in that they offer luxury campervans for hire at rates that place them in the midrange market. If you’d like to be pampered on the road but don’t want to break the bank, Walkabout Rentals is worth your consideration. Lucky Rentals New Zealand has a huge selection of 2, 3 and 4-berth campervans, aiming at budget travellers looking for cheap campervans and cars. 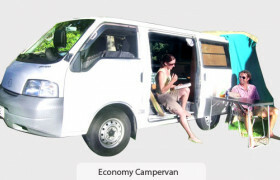 Euro Campers is a mid-range priced campervan hire company in New Zealand that have some great inclusions. In this review we will take a look at what they can offer the road tripper. With rates that won't burn a hole in your pocket and a large selection of vehicles to choose from, Happy Campers focuses on making their customers happy. Of course with their name, they are in for a world of pain if their customers are in fact, NOT, happy campers. Wicked Campers New Zealand is another arm of the world wide phenomenon of this cheap campervan hire company. 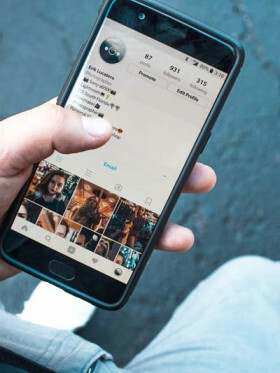 The company is infamous in the campervan hire world for its outrageously painted vans, it's don't-give-a-toss attitude and it's encouragement of renters to flaunt rules and have a good time. Editor's Review: Road Runner Rentals is a family-owned rental company in New Zealand that has been in the industry for more than a decade. The company features extensive and personalized 2, 4 and 6-berth vehicles, and offers best campervan deals in Christchurch and Auckland. Rental Car Village is a family-owned motor vehicle business in New Zealand that was established in 1938, but later diversified into the rental business in 1997. With almost 2 decades of rental expertise, the company brags of its cheap rental rates and basic yet personalized fleet.